When I first heard Mac DeMarco’s debut EP, Rock And Roll Night Club, one word came to mind — strange. The spring release was strange right down to the album cover. DeMarco was front and center, applying a thick layer of sloppy lipstick. It didn't matter that the photo was taken on Halloween as a goof. DeMarco found it highly amusing. The music was the same way. It features crooning, glammed up, sexed up vocals and an odd variety of musical styles and genres. The jagged songs were accompanied by a variety of weirdly amusing promotional videos (like this official video for Rock and Roll Night Club. But that's not what this review is about. There is a newly released album. Mac DeMarco 2 plays for the late night loner. The full-length LP from the Captured Tracks label is simply called Mac DeMarco 2, sometimes listed a "2" on its own. This is the DeMarco I think I like. The 22-year-old Montreal-based singer by way of Vancouver is a real natural when it comes to songwriting. He has keen and insightful instincts both as a writer and a singer. The result is a strong album and a much more cohesive body of work than Rock and Roll Night Club. But that’s not to say DeMarco hasn’t lost his edge and sense of irony. “Mommy’s in the kitchen, cooking up something good. And daddy’s on the sofa, pride of the neighborhood,” sings DeMarco. Is the song about rebelling against the boredom of suburbia? Or is it something seedier, like a meth lab dad? The choice is left up to listeners, with most of them taking note of the trip-tastic instrumentation. In all, 2 is much more restrained than Rock and Roll Night Club. It doesn't lose anything by being a cut above the debut either. There is also much greater care to deliver some consistency, which keeps the LP at a steady clip even if it starts to become a bit cloying at times. Where is works is in DeMarco’s tone and delivery. He is simple and sincere, making a memorable outing that defies the common fare being put out these days. There are several standouts to consider. Yes, Ode To Viceroy is about how much he enjoys smoking the budget-friendly (in Canada) cigarettes. It takes a lot of balls to write about a brand of smokes nowadays, but DeMarco manages to pull it off with his sincerity. The fan clip captures DeMarco performing the tune live at the 2012 CMJ Music Festival. Another must listen is I'm A Man, which is about what it’s like to be a guy living life in a city like Montreal (complete with pitchy background vocals). My Kind Of Woman is about a crush (or maybe an obsession). Robson Girl and Annie bring on some great guitar hooks. And Freaking Out the Neighborhood is a lively, unforgettable tune with a catchy melody that apologizes (sort of) to the people he loves for his unusual public behavior. Either video will give you some insight into DeMarco's appeal. The affable, hat-loving DeMarco has a fantastic stage presence, infinite amount of energy, and clearly enjoys engaging the audience. It's not uncommon to get a healthy dose of hilarious banter. All of it makes him easier to like. 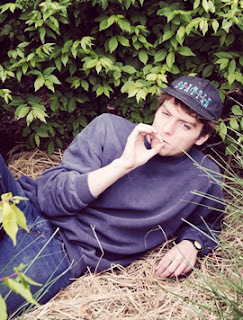 Mac DeMarco 2 is a solid batch of finely written and catchy songs. Many of them seem more enjoyable as single sets instead of trying to listen to the LP as a whole. In this case, the whole isn’t greater than the sum of its parts. And that is a good thing. Mac DeMarco 2 Rolls In With 6.1 On The Liquid Hip Richter Scale. If DeMarco can put the campiness of Rock and Roll Night Club behind him and stay the 2 course, he’ll be an artist to watch. He's currently on tour in the UK, with shows coming up Nov. 19-22 in London, Manchester, and Brighton, followed by one night in Brussels, Belgium. You can catch Mac DeMarco 2 on Amazon. You can also download the album from iTunes or order the vinyl edition from Barnes & Noble. To keep up on his schedule, check out Facebook.